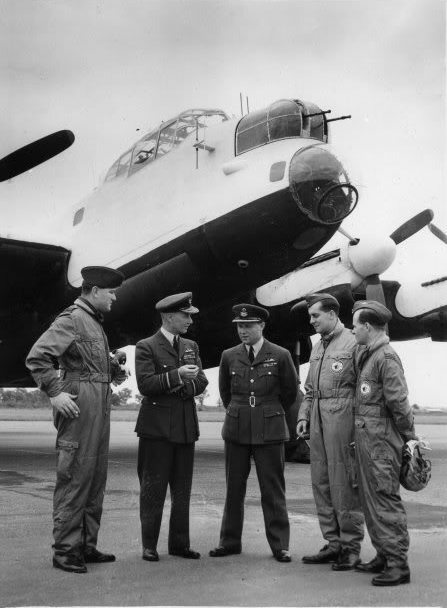 A total of 207 RAF Officer’s & Aircrew were involved in the Operation ‘Lancaster’ hence the need to stagger their Departure & Arrivals at Interim Bases to minimise Overnight Accommodation needs. 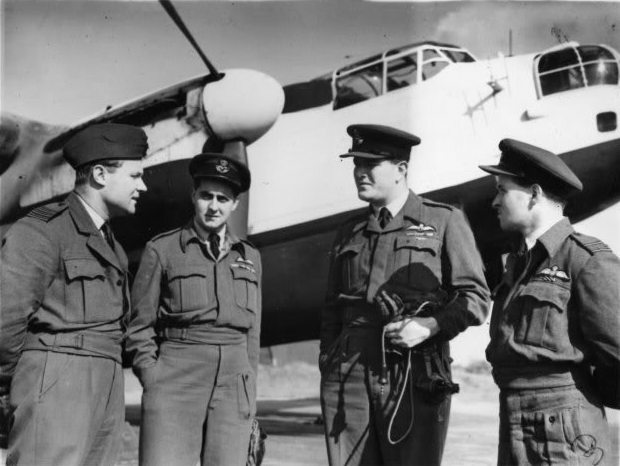 TL-F – Squadron Commander A J L-Craig (tallest centre) led the 35 Squadron Goodwill Tour of the Lancaster Bombers to the USA – Operation ‘Lancaster’. S/L Michael James Beetham the son of Major G C Beetham MC, was born on May 17th, 1923, in London and educated at St Marylebone Grammar School. He volunteered for the RAF in 1941 and was Trained as a Pilot at a Base in the USA under the US/UK bi-lateral BFTS or Arnold Schemes. On his return to England, Beetham Trained on Lancasters, an Aircraft he would describe later in his life as the one for which he had the greatest affection. He joined Bomber Command’s No.50 Squadron in November 1943 just as the Battle of Berlin had got underway and flew his Lancaster to the City no fewer than 10 times. He also flew on the disastrous Raid to Nuremberg on the Night of March 30/31 1944 when 96 of the Bomber Force failed to return. Such losses had a profound effect on the 20-yr-old Beetham. Although his Bomber was damaged by Anti-aircraft Fire on a number of occasions, he faced his greatest danger on a Training Flight when he and his Crew were forced to Bale out of their Burning Lancaster. He went on to survive 30 Operations over Germany when the losses were at their highest. 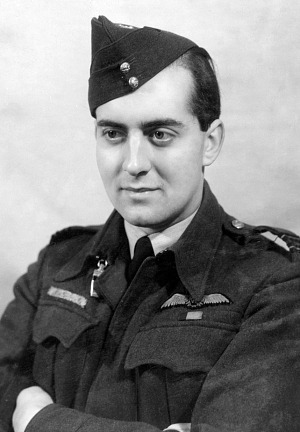 Assessed as an outstanding Pilot, he was Awarded the DFC for his Gallantry & Leadership. After a period Training Bomber Crews, he returned to Operations as the War ended and dropped food supplies to the starving Dutch population during April & May 1945. Offered a Permanent Commission in the Peacetime RAF, Beetham served at HQ Bomber Command. In August 1949 he assumed Command of No 82 Squadron flying Lancasters on Photographic-Survey & Aerial Mapping for the Colonial Office in East and West Africa. 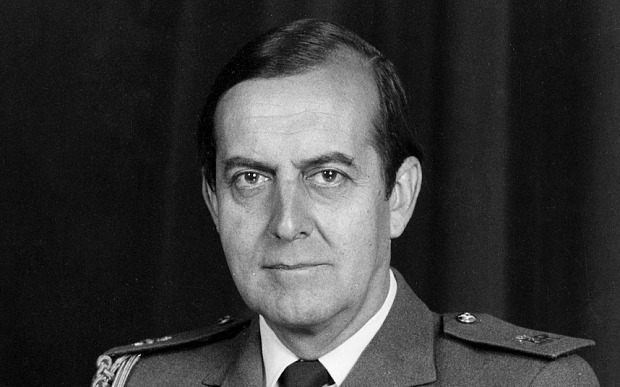 Marshal of the RAF Sir Michael Beetham, died aged 92, and he was, with the exception of the RAF’s Founder, MRAF Lord Trenchard, the longest serving Chief of the Air Staff (CAS). 3rd July 1946. OC -W/C A J L Craig, Commander In Chief, Air Marshall Sir Norman Bottomley, Grp/Capt Collard, S/L M J Beetham, & S/L (Shorty) Harris. – NB 3 Smoking during Inspection. TL-R John Robinson’s Crew: W/O Sparling, F/O Wilson, F/S Angel, F/O Robinson, F/L Bullen, F/S Watson, W/O Vaughan. During July & August 1946, 35 Squadron RAF was to conduct a Goodwill Tour of the USA with 16 Lancaster Bombers. The Squadron originally left the UK in 2 Waves in July and were routed via Lagens in the Azores to Gander. After Mitchel Airfield, (Hempstead Plains, Long Island, New York), via Buffalo, Detroit, & Chicago to St Louis, via Kansas City, the Lancasters were to visit Scott Field (St Clair Co, Illinois), Lowry (Denver) & Long Beach (California), taking part in USAAF celebrations in Los Angeles on 1st August 1946. On the way Home, they visited Kelly Field, (San Antonio, Texas) Andrew Field (Maryland) Westover Field (Chicopee, Nr Springfield, & Massachusetts) & back to Mitchel Field. 12 Aircraft were designated for Fly-Pasts and 4 were kept in reserve. The Total Deployment was 230 Officers & Men, 30 in the Avro York Advance Party & Ground Crew in excess of 80 men. BBC Wartime Correspondent, Charles Gardner was also in attendance.